These cubicles are located in Dallas, Texas so we can ship these inexpensively around the country. Each station is a 7.5 X 6 with tan fabric. 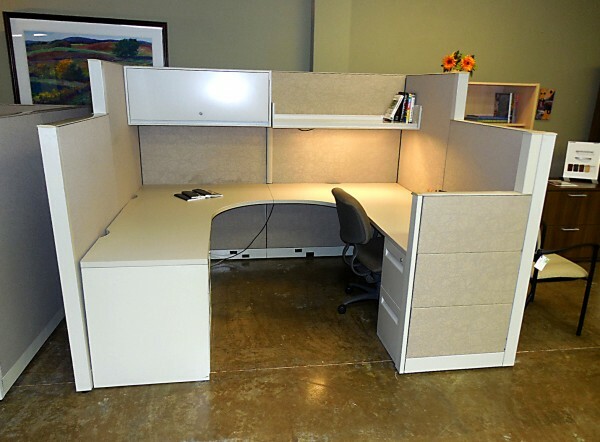 Each used cubicle comes with an over head storage bin, one shelf, one box box file and one file file. These cubicles are loaded. Each cubicle is configured with high / low panels, this creates an open environment while allowing employees to have their own personal space. These are a great buy!!! Act now!